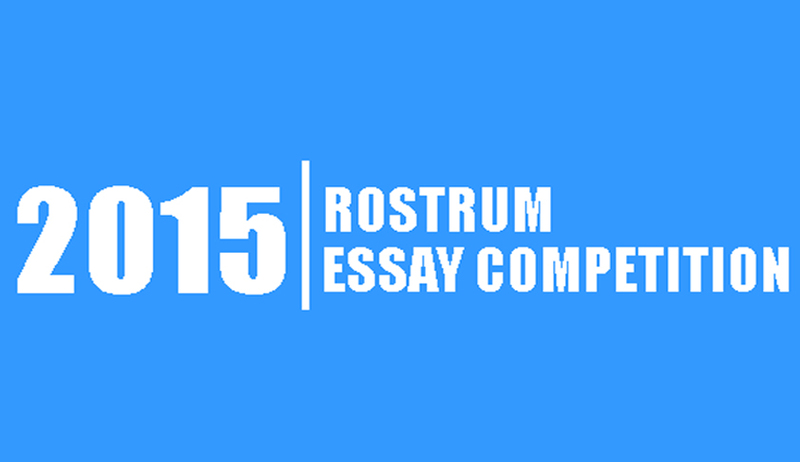 RostrumLegal.Com has announced third edition of the Rostrum Essay Competition which aims to promote original legal writing and research work. Participants can write on any topic of their interest from the field of law. Eligibility: The competition is open to all undergraduate law students and postgraduate law students pursuing Master of Laws or an equivalent master’s degree in law. How dynamic, contemporary is the topic. The quality of arguments made. Referencing and citation of the legal authorities. How focused the approach to discuss the issues in the essay. Manner of organizing the content. The abstract should not exceed 600 words. The world limit for essay is 6000 words (Including Footnotes and References). Provide your name, phone number, name of college/ university and you address of correspondence in the body of the email. Registration Fees: Rs. 1300 (One Thousand Three Hundred Rupees Only). Rank 4th to 13th – Rs. 1000 Cash for each participant. Participation certificates will be awarded to all the students selected for the submission of essays for the competition. All the participants submitting abstracts for the competition will receive a RostrumLegal.Com gift voucher worth Rs. 2000 each. Click here for official announcement.